Switzerland has rejected the request of the exiled leader of the banned Baloch Republican Party (BRP) Brahumdagh Bugti to seek political asylum after more than seven years. A week earlier, she also imposed a lifetime entry ban on the prominent exiled Baloch leader and Bugti’s brother-in-law, Mehran Marri. A source in the Swiss government confirmed that Brahumdagh Bugti’s asylum application was turned down because of his links with the banned Baloch Republican Army (BRA). The rejection letter clearly illustrates these allegations with reference to the “incidents of terrorism, violence and militant activities”. At the same time, some two hundred Baloch separatists, including 15 commanders, renounced violence and laid down their arms at the hands of Balochistan Chief Minister Abdul Quddus Bizenjo and Commander Southern Command Lt Gen Asim Saleem Bajwa at a ceremony held at FC Headquarters Turbat last month, taking the toll of those ‘shunning the violence’ and submitting to the writ of the state, to a high figure of eight thousand. 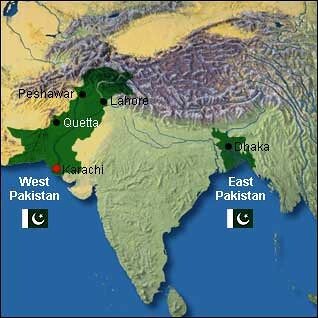 India has been lately obsessed with the idea of liberating Baluchistan. For the same, she is found supporting any and every source she can find. Though practically she knows she can’t, still by giving inflated hype to their paid agents like Naila Baloch and Mama Qadeer they try to diverge attention from their own misfortunate afflictions of on-going freedom movements of Khalistan, Nagaland, Manipur, Mizoram, Tripura, Assam and specially Kashmir which has gained universal attention in the near past. Bugti had been living in Afghanistan prior to leaving the country for a Middle Eastern state and from there he flew to Geneva. It was also reported that Bugti had, on September 19, 2016, formally asked the Indian government to grant him an asylum and Indian nationality so that he could live in India and move around the world to campaign against Pakistan. The report was later denied by India and the BRP, but, just four days later, the news turned out to be correct and Bugti officially announced that he would apply for Indian citizenship for himself and his family. To tell the truth, Modi cannot create an independent Baluchistan no matter how hard he tries. Maximum what India can do is to create some unrest with his spies from intelligence agency like Kulbhushan, who is already in Pakistani custody and is being prosecuted against the charges of fomenting terrorism and sabotage in Baluchistan. Ignoring all pieces of evidence, India, still maintains that Jhadav was kidnapped from Iran last year, however, Pakistan upholds the claim that the RAW agent was caught inside the boundary of the country and is found guilty of conducting espionage activities in Pakistan. To make her point India has propagated the interview of Mama Qadeer as an evidence, where he parroted that Kulbhushan was kidnapped from Iran by some criminal gang and later handed over to Pakistan. Interestingly, this Mama Qadeer himself was never deemed a patriot unlike most of the Baluch people, many of whom are the greatest patriots Pakistan has ever known. Mama Qadeer Baloch is a Baloch separatist leader who rose to prominence in 2013 when he marched from Quetta to Islamabad to highlight disappearances in Balochistan and was in the news for a few years till around 2015. Ironically, his only achievement in life was also given an Indian perspective when he was referred to as the Gandhi of Baluchistan for this long march. Though he did not went missing like the people he did the effort for, however, he’s been unheard of since then. Living in a self-exile in Afghanistan, Mama Qadeer isn’t renowned or too well-known in Pakistan even. Sponsored by India, he is infamously acknowledged for bashing the government in his separatist speeches. He belongs to the sort of people who sell themselves to cheap popularity by doing about anything just to stay in the news. What he and his controller, Modi, both have to realize is that Baluchistan is not East Pakistan, moreover, unlike East Pakistan, there’s no separatist movement in Baluchistan. Historically, a lot of things went horribly wrong in Baluchistan which we do understand. The royal Baloch tribes disapproved the ordinary Baloch population to progress in education, enlightenment and socio-economic uplift. The reason behind this cruel approach was the fear that education, enlightenment and economic progress would end their Sardari system, but that was the past. Today’s Baloch is broad-minded, intelligent and progressive. He loves education, he loves his country and he loves his country mates. Though there is a widespread discontentment, there is no popular support for the breakaway movement. 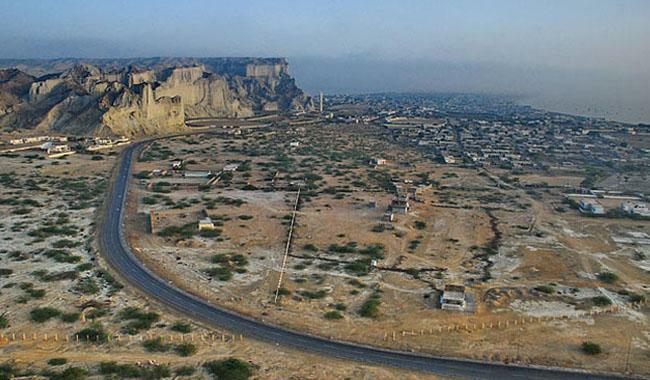 The chances of Baluchistan breaking away are slim for many reasons and CPEC is one of them. China has already invested heavily in Gwadar, while Russia also considers Gwadar as the channel to exert her influence in the Indian Ocean. With this international attention, the chances of Indian dream coming to reality becomes quite grim. The chief minister of Baluchistan best represented the desires of thousands of Baloch people when he said that “Citizens of Baluchistan do not want any more bloodshed. They are patriots and want development”. These historical words were said by him while addressing the ceremony organized by Baloch insurgents who laid down their arms in Turbat. This entry was posted on Friday, February 16th, 2018, 8:18 am and is filed under Baloch Feudal Sardars, Balochistan - The Beautiful Heart of Pakistan, BALOCHISTAN IS PAKISTAN, BALOCHISTAN-THE HEART OF PAKISTAN, BALOCHISTAN=PAKISTAN, Ishaal Zehra. You can follow any responses to this entry through RSS 2.0. Both comments and pings are currently closed.